Cotswold Pizza Company | Simple , seasonal, sustainable and local . Pizza inspired by Napoli, wood fired in the Cotswolds. 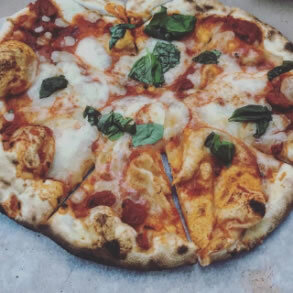 Bringing together the best of local and artisan Italian producers to create delicious wood fired pizza for any event. 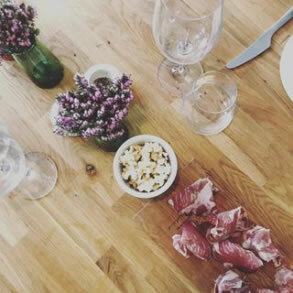 A mission to bring people together to celebrate the best of simple, seasonal, sustainable & local goodness from the Cotswolds and artisan Italian producers. Beautiful pop up bar and kitchen for weddings, events, parties, survivor’s feasts & children’s parties at your venue or your own home. 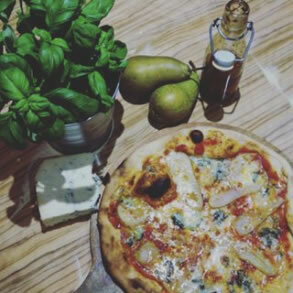 We serve amazing woodfired pizza, antipasti, slow cooked meats and gelato to die for. We have the experience to cope with big and the care and attention to deal with small. We will do anything for 30 pizzas and go anywhere for a 100 or more. But it’s not about us, so tell us what you need and we will endeavour to do it. To complement the food, we offer a bar that serves Italian spritz, epic G&T, craft beer and gallons of Prosecco. We offer everything from amazing Italian feasts to a casual slice. The centerpiece of your corporate event or a late night survivor's feast after a party or a conference. We can pop up at your office to deliver a staff lunch or cook in your garden for a family party or children's party at the local church hall. Antipasti and Pizza are the ultimate social food and are perfect for parties, in fact all occasions. It’s a surprisingly affordable solution too. 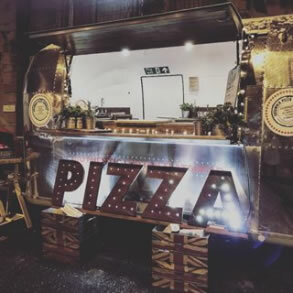 We offer solutions for table served events or more casual pizza bars, where your guests order with the chef and eat on the hoof. 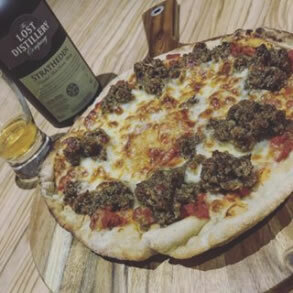 The offer is simple and rustic but there is hidden beauty... We serve pizza on wooden boards, antipasti in wood crates and slow cooked meats on a platter or in a bun. We complement all this with big salads and a garden box full of amazing veg to dip in, dips! And I nearly forgot we also serve truly amazing artisan gelato. But if you just want Pizza you can just have pizza. We can support weddings in large established venues or in the middle of the field with no power and water. Antipasti, Pizza and gelato are the perfect fare for a rustic lux wedding. Either the main event or the survivor's feasts, this is a much more cost effective than conventional wedding catering and so much more sociable, fun and filling. 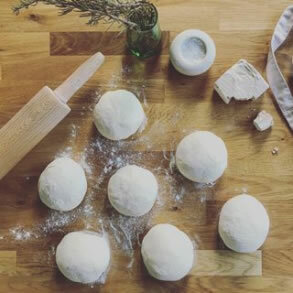 We make our own dough using only the finest flour, fresh yeast, a pinch of salt and the best Cotswold tap water money can buy, allow it to prove for 24 hours and then top it with the finest ingredients from small local Cotswold and Italian producers. We then cook it in a wood fired oven. If you are gluten intolerant or suffer from any other form of awkwardness we can make Pizza bases with chickpea flour, remove the cheese for vegans oh and the meat and replace it with something just as exciting. Margherita : tomato sauce, mozzarella, little bit more mozzarella. dressed with fresh basil and a drizzle of olive oil. Carne : tomato sauce, mozzarella, salami, caramelized red onions. dressed with fresh rosemary. Picante : tomato sauce, mozzarella, amazing melty spicy sausage. Milano : tomato sauce, Taleggio cows cheese and smokey speck. The ‘Chav’ : tomato sauce, mozzarella, local ham and pineapple. If you have a better idea then tell us what it is. Our gelato is far from the commercial horror show that is most modern ice cream, made for us in the Cotswolds by the only person we trust with this gastronomic gold. Made with the freshest milk from a single Cotswold heard and mixed with all natural ingredients making the flavours amazing and a gelato that is so much healthier you can have two. 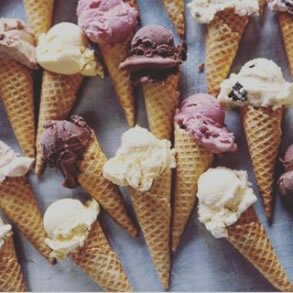 We generally serve gelato in tubs but for larger events we can serve from our ice cream bike in a cone. To complement the food we offer a bar that serves, Italian spritz, epic G&T, craft beer and gallons of Prosecco. We can run as a free bar to a budget, a pay bar with tabs and credit card payment or anything in-between. We have great value, great tasting Italian house whites, rosé, red and fizz and spirtz but if you are living the dolce vita then we can source the amazing and the spectacular. We have an amazing collection of gins, rums and vodkas, cool tonics all served from our pop up bar made of apple crates and fridge made of an old bath. Pizza is a universal hit with children of all ages and the chance to offer party food that is free of nasties is a rare one. Our pop up facility is small enough to fit in a garden, church hall, balcony or stately home. 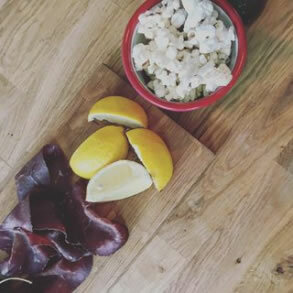 We can cater for large parties but are more than happy to offer surprisingly affordable packages for small groups in the Cotswold area, including pizza, crudités with child friendly dips and amazing all natural gelato. We can also supply a cake and importantly a bar for the grown ups. For more information and prices get in touch. Leave your name and best way to contact you. I would like to receive occasional emails from Cotswold Pizza Company about events and offers.